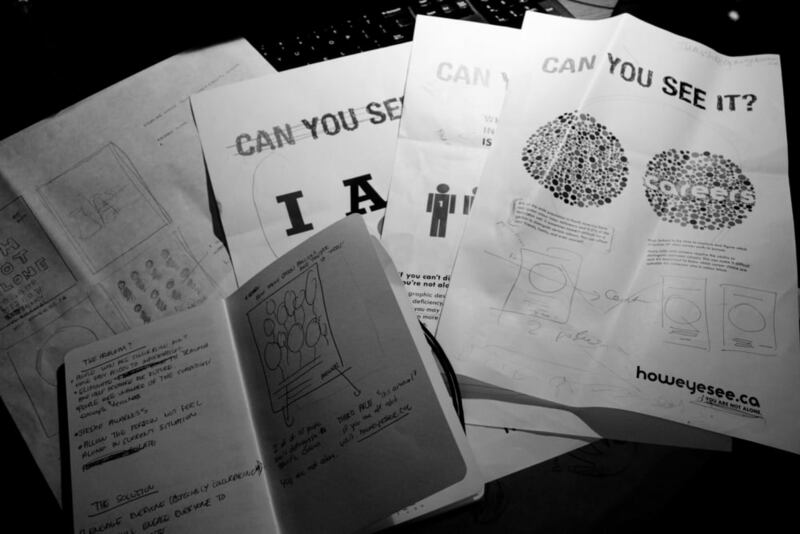 The intent of my independent study project design thesis is to educate and promote the awareness of colour blindness and how it impacts the individuals of society. I intend to share my knowledge and personal experiences on this condition by targeting colour blind high school students and providing them with accessible information about colour blindness and careers. In detailed, this will be achieved through design and production of a series of posters, a brochure, and an informative website with an online community forum. Colour vision deficiency can sometimes go unnoticed and it can be mild to detect. It can be a traumatic experience to later find out that your desired future career was shot down because of your colour vision deficiency. 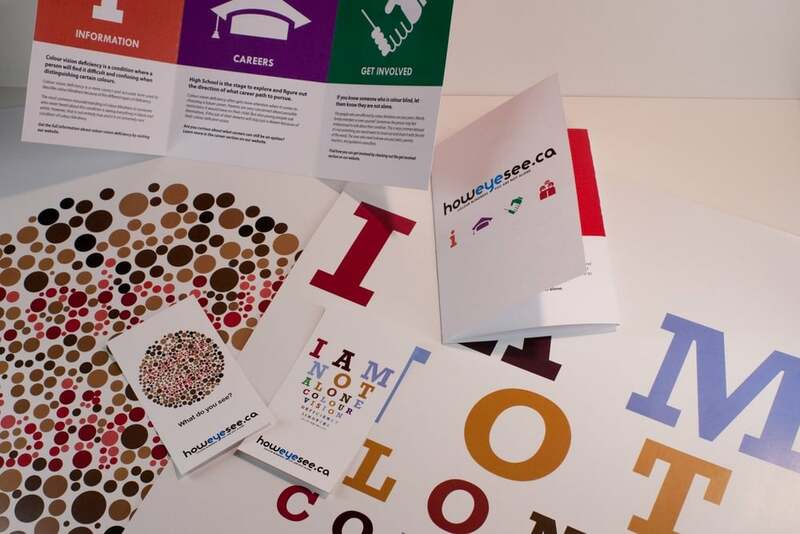 From a colour blind student perspective, brochures, posters, and informative websites to a student demographic were not easily accessible nor available in schools and libraries. There are a few websites that explain what the conditions are, but they do not provide a section on how it would affect your education and your future desired careers. Why don’t we have the information available in high schools? Well the answer is, most teachers, parents, and peers are unaware of this condition. By implementing posters and brochures in schools and libraries, students, parents, and teachers will have a chance to learn more about colour vision deficiency. How will it be delivered and executed? During the naming process, I found it really difficult to come up with something that was meaningful, distinctive, future-oriented, positive, visual, fun and creative. I started to list some a bunch of random words related to colour blindness and what I wanted to address. I had eventually ended up with “how eye see”. The name for my organization began to spark a whole bunch of ideas and it started to mould as I went on to the other stages of development. The logo I wanted to design had to reflect my overall look and feel of my thesis project. I wanted to create something simple and contemporary modern without having to depend too much on cliché images. I sketched out different ways of using the name of my brand and I find that wordmarks work really well. This process was very difficult because of length of the name. I tried positioning symbols above and beside the name and nothing worked. I explored with different typefaces and colours to give the brand some personality. I eventually found something that would work and look appealing to my target audience. The poster concepts were the result of brain storming, creative experimenting, and learning how to engage the target audience. The idea was to catch their attention with interesting images and make them participate with the poster. 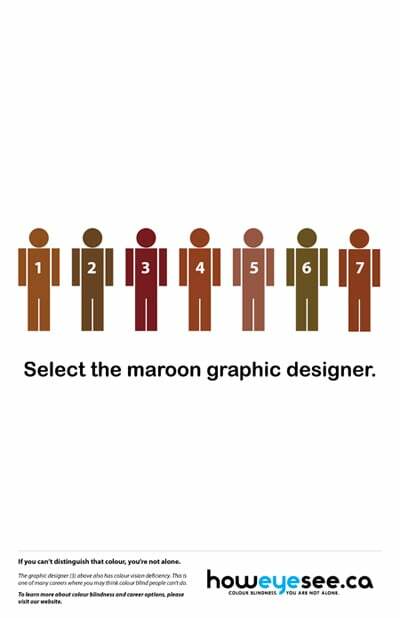 The purpose of making these posters becomes the key method of getting the target audience to visit the website and learn more about colour blindness. 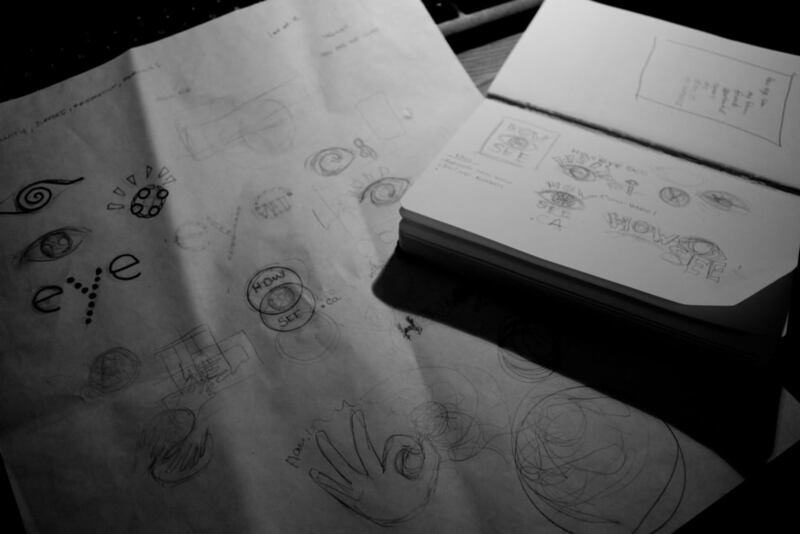 This was one of the hardest processes to go through because of all the different designs, layouts, and refinements. My main deliverable for this thesis project is a website because it provides all the important information and as well as the online community forum feature. I’ve chosen to make a website based on demographic and target audience. Students in this generation are more likely to visit a website rather than reading an information booklet. Because of the convenience of the Internet, we are able to search for any specific information with a mouse click away. Communication and information sharing can be viral and effective. Websites such as YouTube, Facebook, and Twitter allows people to connect and share information instantaneously. There are lots of websites that provide information. Most of them are poorly designed. I decided to make the website look clean, simple, and contemporary. 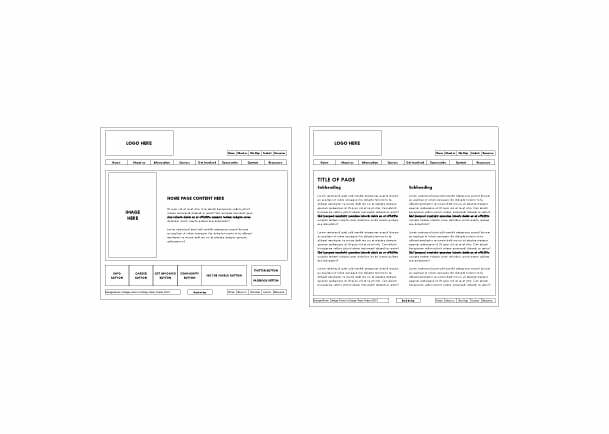 In this process, I learned to work with site mapping, and wireframes to layout my content.